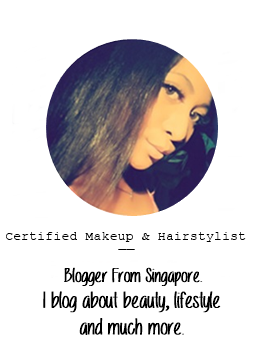 Its been a while since I like doing a review on a products. 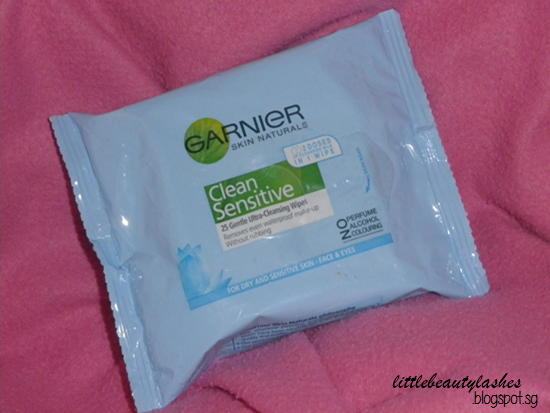 So here I am sharing with you about this makeup remover wipes from Garnier. Garnier CleanSensitive Gentle Facial Cleansing Wipes are specifically designed for gentle and convenient all-over make-up removal without drying sensitive or easily irritated skin. CleanSensitive Gentle Facial Cleansing wipes combine a soft texture wipe with soothing plant extracts to gently yet thoroughly remove make-up without rubbing skin or leaving a tight, uncomfortable feeling. Alcohol and fragrance-free, and enriched with moisturising vitamin B5, it leaves your skin perfectly clean, softened and soothed without leaving an oily residue. Its my first time trying this makeup remover wipes. And I started to like it a lot. It removes everything on my face included eyeliner too. And I love the smoothness feeling it leaves on my face after remove my make-up. But, the part which I don't like is to remove the waterproof mascara. It does say it 'removes even waterproof make-up without rubbing' but still you have to rub slowly to remove the waterproof mascara. But I don't mind rubbing slowly to remove it. Overall, I still like it and I will repurchase this makeup remover again. Have you tried this Garnier Clean Sensitive Gentle Ultra Cleansing Wipes before? What's your favorite make-up remover? I love that there are pure.